Need fast, reliable, easy-to-implement solutions for automating SharePoint 2013 administration with PowerShell? This guide delivers exactly what you’re looking for: step-by-step help and guidance with the tasks you’ll perform most often. You’ll find tested PowerShell scripts and techniques for managing installations, servers, farms, IIS, users, services, sites, data, solutions, enterprise services, search, PerformancePoint business intelligence, and more. 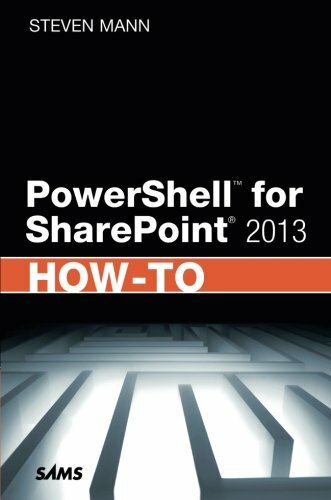 This edition adds time-saving techniques for managing user licensing and new SharePoint 2013 service applications, covers new cmdlets, and contains two new reference appendices. This focused resource for scripting SharePoint with PowerShell provides all the answers you need—now! Fast, Accurate, and Easy to Use!